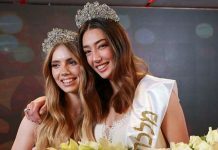 The first runner-up in Miss France 2017, Aurore Kichenin, will represent France at the 2017 Miss World finals, to be held in November in China. 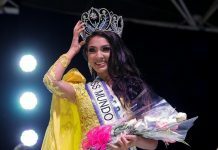 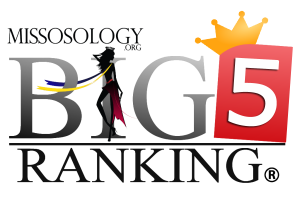 The announcement was made Saturday night (Aug 5) at the Miss Languedoc-Roussillon regional pageant. 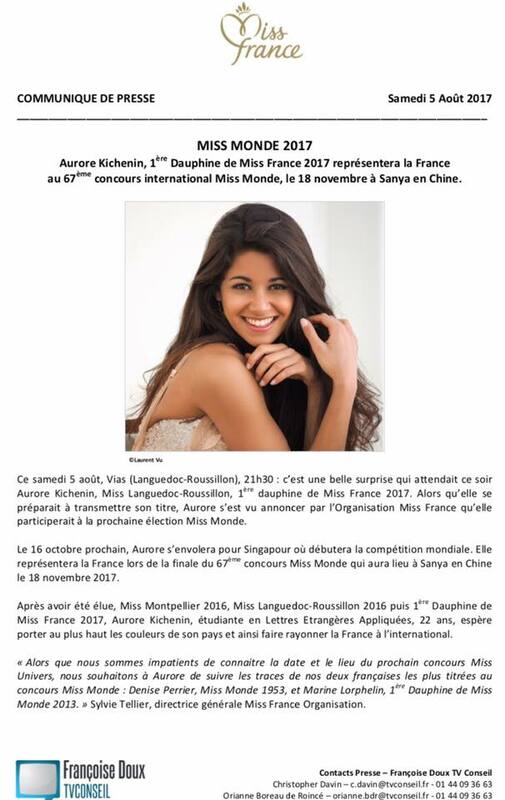 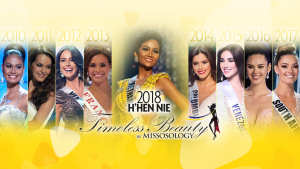 An official press release was also posted in the official Miss France Facebook page. 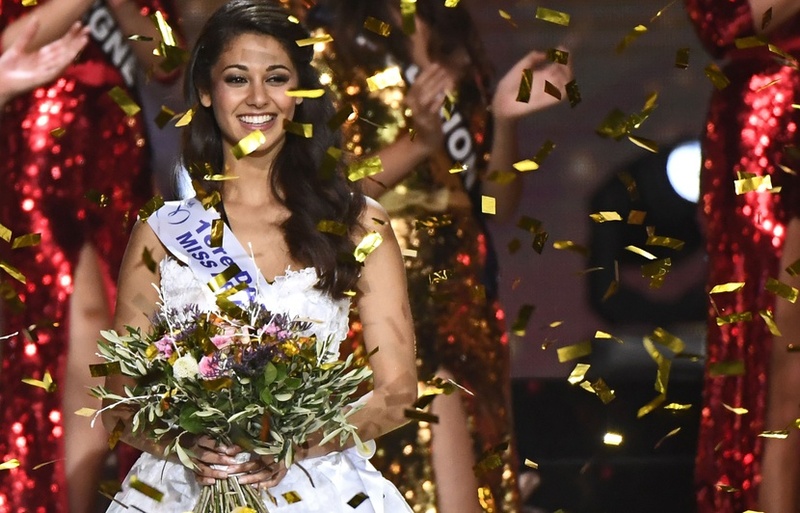 Kichenin, who represented Languedoc-Roussillon in Miss France national pageant, is a 22-year-old applied foreign languages student.